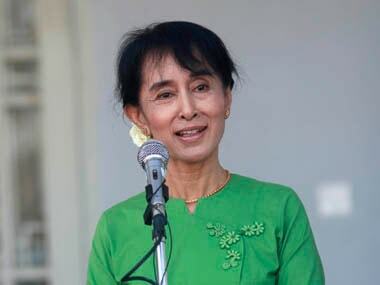 Members of Aung San Suu Kyi's victorious pro-democracy party will take their seats in parliament on 1 February, Myanmar's speaker said Wednesday, beginning a new era for a nation under army rule for decades. 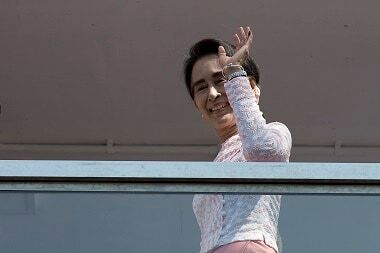 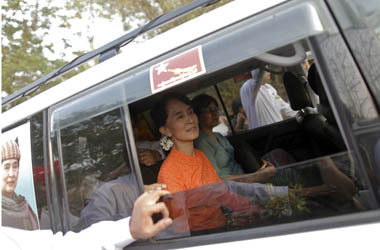 Myanmar's top leaders will hold talks with Opposition chief Aung San Suu Kyi on Wednesday, the first since her party's landmark election success, officials said Monday. 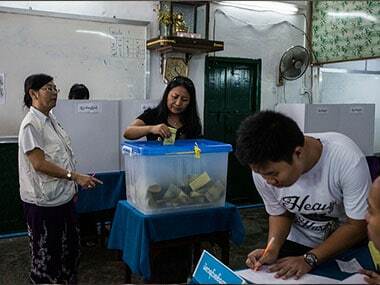 Millions voted on Sunday in Myanmar's historic election after a massive turnout that could catapult Aung San Suu Kyi's pro-democracy party into power and finally end decades of military control. 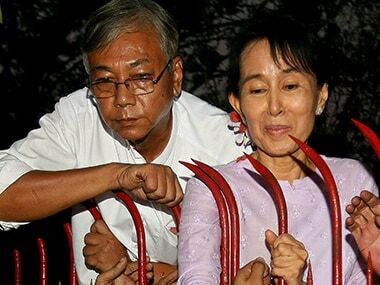 Suu Kyi's role in a reforming Myanmar will be no less essential after sweeping the board in Sunday's historic by-elections. 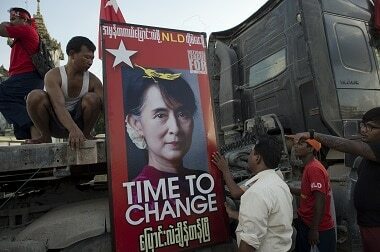 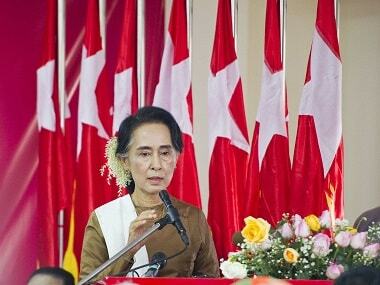 The NLD won all 44 seats it contested in a parliament still dominated by the military and the rival party it created.